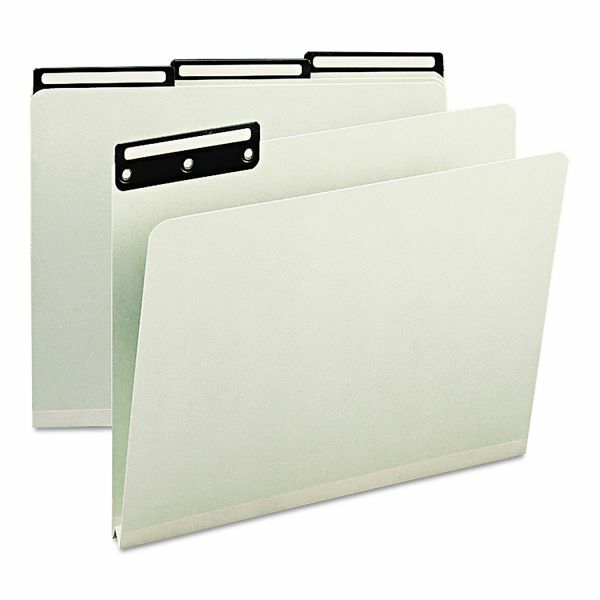 For bulky materials and very active files. Flat metal tabs won't wear out. Heavyweight pressboard is extra durable. 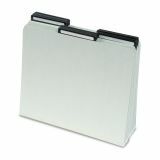 Smead Metal Tab Folder, 1" Expansion, 1/3 Tab, Letter, Gray-Green, 25/Box - Use these gray/green, heavy-duty file folders for bulky, heavily used files. 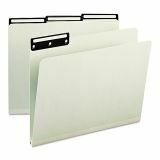 Sturdy, heavyweight folders are made of 25 point pressboard to resist wear and tear and contain a high percentage of recycled content so they are ideal for the eco-friendly office. Tyvek accordion-pleat gusset expands 1 to accommodate your bulkiest letter-size files. 1/3-cut tabs are in assorted positions for easy access and visibility.